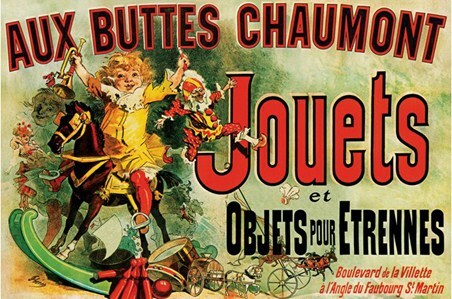 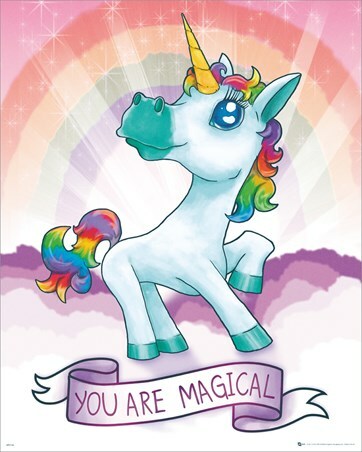 With the unicorn sensation sweeping the nation, this awesomely magical mini poster is a must have for any lover of these mythical beasts. 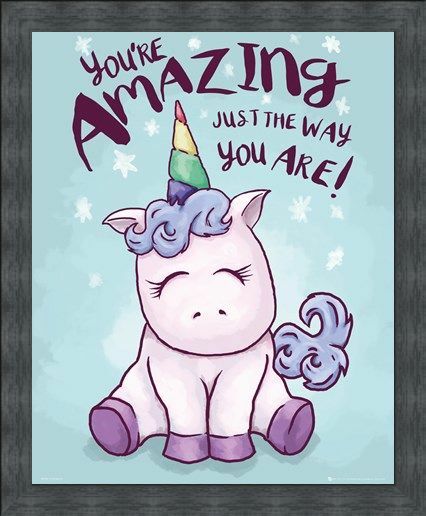 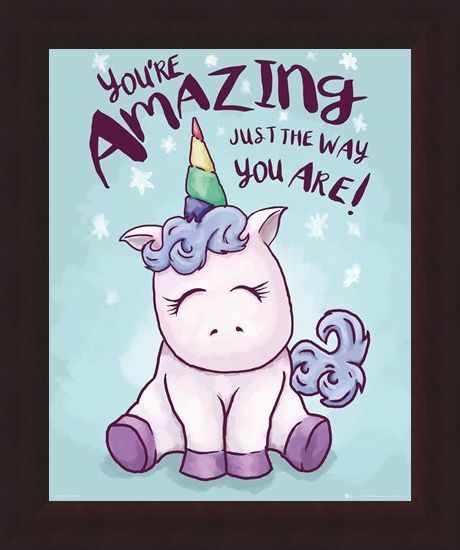 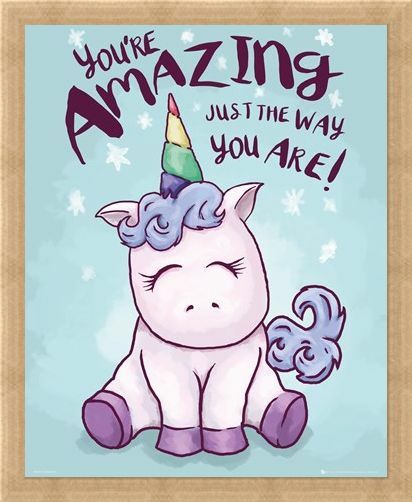 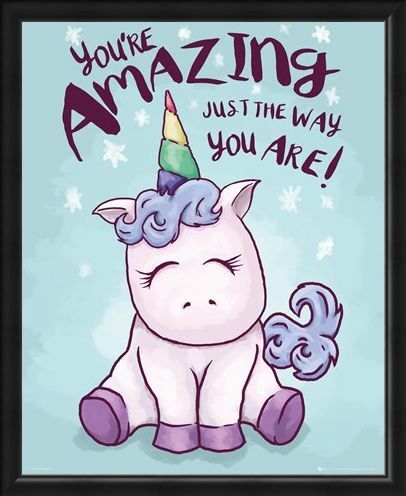 Featuring a super cute, purple-footed unicorn with a rainbow striped horn, this poster is perfect for anybody needing a little encouragement. 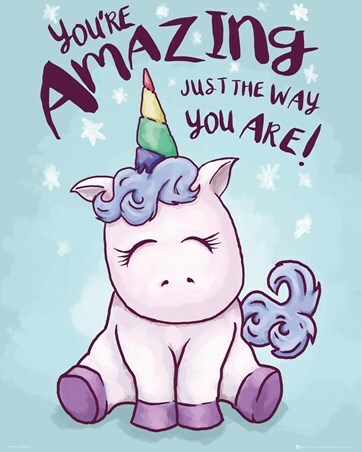 'You're Amazing Just The Way You Are!'. 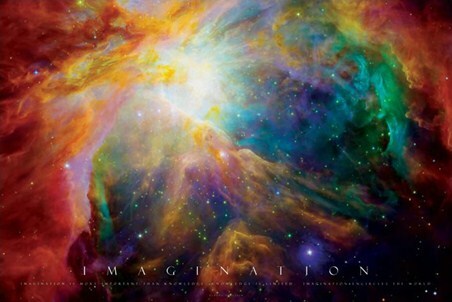 High quality, framed Unicorn You're Amazing Mini Poster, mini poster with a bespoke frame by our custom framing service.